"Anosh Irani does for Iranis what Rohinton Mistry did for Parsis. The Irani community comes alive for those who do not know it." "The soul-searching journey of three generations of Iranis is blended into a heart-warming story...The author portrays [an] unlikely yet compelling romance between a young Irani man and an even younger Warli woman with an exquisite touch. The beauty and purity of their love lingers even when it is violently truncated...The stories of generations as well as of individuals unfold on a sweeping scale, intertwining and coming full circle." ..". exquisitely plotted, researched and written ... a story of intertwined destinies and uncomfortable class divisions crafted in an unapologetic voice." "Anosh Irani's latest offering is a saga of unrelenting tragedy and a tale well told." "[Dahanu Road] goes beyond sepia-tinted nostalgia to depict the savage wrestling for power between landlords and Warli workers...the plot [is] taut and suspenseful...a chronicle of the eccentric members of one of the world's most exclusive and quickly declining clubs - the Zoroastrian community...Alternately tragic and funny, Dahanu Road doesn't lose sight of it all." 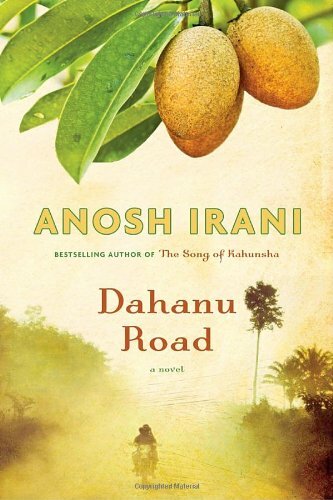 ..".Dahanu Road is engagingly written and Irani creates a lovable cast of characters." "Author Anosh Irani provides us with a unique blend of fact and fiction, interspersing village life with realities of Irani history. A heart-wrenching chronicle of love and loss, Dahanu Road is one man's search for truth in a sea of deception." "After a long time, an unputdownable book. A fascinating insight into Dahanu's Irani and Warli communities, written with warmth, honesty, and a great deal of humour by a skilled storyteller." "Anosh Irani moves back and forth through the generations skillfully. His writing is visual and intense, and he creates his flawed characters with humour and compassion as they struggle with changing times and cultural mores, while trying to survive the ghosts of the past. Irani gives us a fascinating and exotic story that takes place within a little known historical context of Iran/Indian history." "Anosh Irani has a talent for peeling back layers of history and class in brilliant tales that are wittily folkloric, devastatingly political, and flamboyantly mythological. He must come from a long line of storytellers, fire keepers and, I suspect, also magicians." "A beautiful novel, Dahanu Road is big with love and infused with the passion of Anosh Irani's gentle yet shrewd prose." 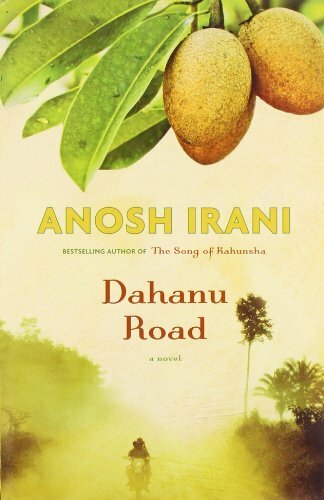 "Anosh Irani's third novel, Dahanu Road, offers a blend of personal family memories, historic truths and rich storytelling...it's proof positive that there's another superior talent from Southeast Asia living here. In writing about distant worlds he shows us the exotic Other, while at the same time enacting on foreign stages the moral challenges we all face." "Like Shakespeare's Romeo and Juliet, Dahanu Road, by Anosh Irani, is a story of forbidden love. Irani writes evocatively in a tale that has humour and texture as well as pathos." "Irani weaves an intricate web of personal and political relationships... With characters as rooted in the earth as the trees of the orchard, Dahanu Road springs to life. The fruits of Irani's labours will surely win him the acclaim he's enjoyed for his past work." "Irani keeps the intricate story moving . . . as grandfather and grandson struggle with the behaviours expected of their class. . . . A fascinating look at what can and can't be controlled despite the best of intentions." "Simply told and nicely paced. Readers who have never set foot in India will get a feel for the country." "Dahanu Road is the sort of novel book clubs will be drawn to like moths to a porch light for its exotic setting and the love story at its heart. . . . It's an intriguing place Irani shows us, a place where old struggles yield beauty and love, as well as death and pain." "Irani's writing seems to capture the heat of an Indian summer. As he delivers a tragic love story, he also writes about peoples unfamiliar to most Canadians, telling of class differences and connection to the land. Anosh Irani is one of the best young writers in Canada." "Dahanu Road has much in common with Rohinton Mistry's Giller-Prize winning A Fine Balance...Irani unravels convoluted history and class division to lay bare a grand narrative....The pages are saturated with rich detail. The smells, vistas, religious rituals, and rhythms of nature on the road are key to the narrative's power." "The only statement of revolt the poor could make was to put an end to their own misery. It happened all the time--men lay themselves on train tracks, hanged themselves from trees, consumed rat poison, and women set their kerosene-soaked bodies alight in front of their husbands. These were blazing ends to insignificant journeys. But in all this, there was always one man who, in that final gush of blood, in that final breaking of neck and bone, set things in motion." Zairos Irani, a young man of inherited leisure, is meandering through his family's lush chickoo orchards near Mumbai when he comes across a distressing sight: Hanging from one of the fruit trees is the lifeless body of Ganpat, a worker from the indigenous Warli tribe. Ganpat's ancestors once owned the land, before his father's alcohol debts caused the deed to be transferred to Zairos's grandfather Shapur. The two family destinies have been entwined ever since, ancient grudges once again awoken by Ganpat's final desperate act. Zairos feels obliged to notify Ganpat's family before the authorities come to ask needless questions and extract bribes. A tractor bearing Ganpat's sister and anguished daughter Kusum soon trundles into the orchard, and when Kusum alights, Zairos's curiosity is piqued. As a landowner, he knows that he is well above her station, and yet her dignity and beauty lead him to cast aside taboos and risk the wagging tongues of neighbourhood gossips. Though wary at first, the grieving Kusum comes to return his affection, asking only that he assist her in achieving what her dead father could not- by putting an end to the violence she has endured at the hands of a drunken husband. With brilliant gusto, Irani has built his Dahanu Road upon the pathways forged by authors of tragicomic romance spanning centuries and continents, from the Persian classic Layla and Majnun, to Romeo and Juliet or Wuthering Heights. 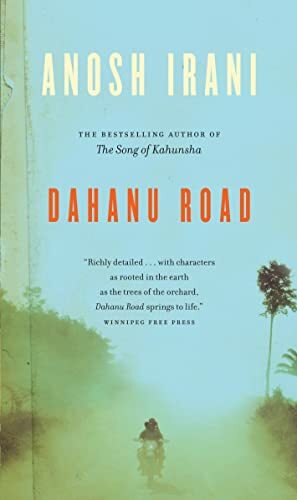 Dahanu Road is a suspense-filled family saga, a sprawling romantic epic in which the delineations between the oppressor and the oppressed, or between love and hate, are demonstrated to be maddeningly deceptive.